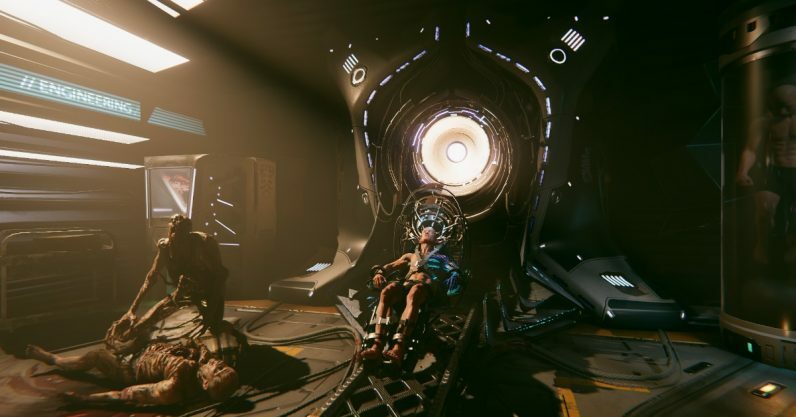 The Game Developers Conference began yesterday, and it got off to an unexpectedly good start by finally revealing footage of a game long-rumored to be in development, System Shock 3. Previously glimpsed only in bits, it’s good to finally see the return of one of the old masters of gaming in full glory. The teaser trailer is fairly brief, showing the series’ trademark desolate space location and a glimpse of creepy antagonist SHODAN, in glossy new graphics. Given that it was shown during the Unity conference, it’s a given it’ll be made in that engine. Director Warren Spector described it as an “immersive simulation,” “noirish,” and “part first-person shooter, part role-playing game, and part survival horror game.” That might sound a little bit like other games you’ve played in the last ten years or so — Alien Isolation and Prey being the most recent examples — but System Shock was one of the games which codified this particular style of horror. I’ll say the same thing about this as I said about Turtle Rock’s new zombie FPS: seeing those who helped make the genre great (or hell, just helped make it in general) return to it is interesting in and of itself. In this case, it’s Warren Spector, one of the original game‘s producers, and Paul Neurath, co-founder of both original developers Looking Glass and current development studio Otherside Entertainment. I got the chance to speak to Warren Spector himself at last year’s SXSW. Naturally, System Shock 3 was the first query on my lips. He merely confirmed it was in development, then sternly told me, “That’s all you’re getting” (Neurath, who was also present, was similarly tight-lipped). I felt simultaneously like I’d just been chastised by my favorite teacher and come into possession of a wonderful secret. Of course, it wasn’t a secret. We’ve heard whispers about System Shock 3 off and on for several years now, alongside the rumors of a full remake of the first game in the series (the latter is being made in Unreal Engine 4 by a different studio). Rumors are one thing. Seeing is another. We’ll be hearing more about the most ballyhooed news from GDC — namely, something to do with Google and possibly some new console it’s developing. But even if this is all we get from GDC, I’d still count it as a success.